Paul Pogba has stepped up his return from injury after he shared a post on Instagram showing him working on the treadmill. The United midfielder had been out of action since September following an hamstring injury and is back in light training to leave United fans purring on social media. He has missed our last five matches due to the injury concern and was regarded as a long term absentee with manager, Jose Mourinho putting him alongside Zlatan Ibrahimovic and Marcos Rojo as his injury was not put on a timescale. 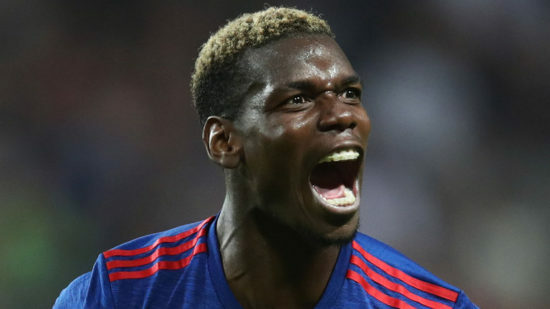 Pogba has been in stunning form all season scoring twice in four matches. He was hard at work at United’s training ground, Carrington where he posted videos of himself working in the gym. The signing of Nemanja Matic has freed the defensive shackles Pogba struggled with last season, and he has struck a good partnership with summer signing, Romelu Lukaku. He was forced off after 19 minutes in the 3-0 win over Basel in the Champions League on September 12. We have been in imperious form all season, as we have registered 19 points out of a possible 21 points, making it possible for fans to cash out using the free bets offers online across popular bookmakers. The classy midfielder struggled for consistency last season after being signed for £89m from Juventus. Pogba is a classy midfielder that can play any role in central midfield. He is known for his technical abilities, passing, creativity and strength. He is widely regarded as one of the best midfielders in world football and made 51 appearances for us last season, scoring 9 goals. He won the EFL Cup and Europa League, with him earning the Match of the Match award in the Europa League Final against Ajax in Stockholm.